I recently attended the Templeton Prize ceremony at St. Paul’s Cathedral in London and have been reflecting on the words of His Holiness the Dalai Lama in conversation with Arianna Huffington: “If we say, oh, the practice of compassion is something holy, nobody will listen. If we say, warm-heartedness really reduces your blood pressure, your anxiety, your stress and improves your health, then people pay attention.” As director of the Center for Compassion and Altruism Research and Education (CCARE) at Stanford University (one of thetwo organizations recognized in the Templeton Prize press release), I would agree with the Dalai Lama. Our poverty in the West is not that of the wallet but rather that of social connectedness. In this modern world where oftentimes both parents work, we are spending less time as a family. People are living farther away from extended families and perhaps more disconnected than ever before as suggested by Robert Putnam in Bowling Alone. Putman observes that we thrive under conditions of social connection but that trust and levels of community engagement are on the decline. Loneliness is on the rise and is one of the leading reasons people seek counseling. One particularly telling survey showed that 25% of Americans have no one that they feel close enough with to share a problem. That means that one in four people that you meet has no one to talk to and it is affecting his health. Steve Cole from UCLA, a social neuro-genetics scientist, has shown that loneliness leads to a less healthy immune stress profile at the level of the gene – their gene expression makes them more vulnerable to inflammatory processes that have been shown to have negative effects on health. Research by expert well-being psychologists Ed Diener and Martin Seligman indicates that social connectedness is a predictor of longer life, faster recovery from disease, higher levels of happiness and well-being, and a greater sense of purpose and meaning. One large-scale study showed that lack of social connectedness predicts vulnerability to disease and death above and beyond traditional risk factors such as smoking, blood pressure, obesity and lack of physical activity. While many pay attention to their diet and go to the gym regularly to improve their health, they don’t think of social connectedness this way. Just like physical fitness, compassion can be cultivated and maintained. Chuck Raison and colleagues at Emory University have demonstrated that a regular compassion meditation practice reduces negative neuroendocrine, inflammatory and behavioral responses to psychosocial stress. Exercising compassion not only strengthens one’s compassion but brings countless benefits to oneself and others. In fact, Jonathan Haidt at the University of Virginia and others have shown that, not only are we the recipient of compassion’s benefits but others are inspired when they see compassionate actions and in turn become more likely to help others in a positive feedback loop. As human beings, we will inevitably encounter suffering at some point in our lives. However, we also have evolved very specific social mechanisms to relieve that pain: altruism and compassion. It is not just receiving compassion that relievesour pain. Stephanie Brown, professor at SUNY Stony Brook University and the University of Michigan, has shown that the act of experiencing compassion and helping others actually leads to tremendous mental and physical well-being for us as well. While survival of the fittest may lead to short-term gain, research clearly shows it is survival of the kindest that leads to the long-term survival of a species. It is our ability to stand together as a group, to support each other, to help each other, to communicate for mutual understanding, and to cooperate, that has taken our species this far. Compassion is an instinct. Recent research shows that even animals such as rats and monkeys will go through tremendous effort and cost to help out another of its species who is suffering. We human beings are even more instinctually compassionate; our brains are wired for compassion. 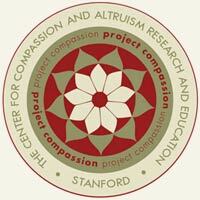 At Stanford University’s Center for Compassion and Altruism Research and Education (CCARE), in collaboration with colleagues in psychology and the neurosciences worldwide, we aim to further research on compassion and altruism. CCARE sponsors an ongoing series of programs. Many pioneering researchers of compassion, including several mentioned in this article, have been presenters and will be again in future programs. We invite you to join us. For more information, please click here. This article was originally published by HuffingtonPost on June 7, 2012.